It’s been several years since I’ve been to Disney. I went every couple years when I was in middle and high school and I’ve even done two Half Marathons there (the Disney Princess ½)! If you’re going to do any kind of run (fun run, 5k, 10k, ½ Marathon, Marathon - DO IT AT DISNEY). Yeah, it will be really expensive, but it will also be REALLY fun! So, the last time I went was probably seven years ago... A LOT has changed (and keeps changing) since then. Now I’m heading to Disney World with my family (and my mom, thank the Lord!) which consists of me and my husband and our two children, a toddler and a baby. I’m completely clueless as to what is going on in the parks these days, so i’ve been scouring the web, pinterest and youtube for hacks, tips and tricks for all things Disney for new updates and preschooler related. Let me tell you, it’s A LOT! This post is as much for you (potential Disney World travelers) as it is for me. It’s so much info, I want it all in one place where I can easily reference the tips and tricks I want, so I can remember what to do and hopefully make YOUR lives a little easier too. Here are my tips for Disney World Planning for Families with Preschoolers. First thing is you have to decide when you want to go. You could plan it out years or months in advance. The best times of the year are during the off-season (when we’re going), before Thanksgiving & Christmas. There are several other good times to go as well. Such as early in the year, early May and September. It also might depend on where you want to stay. You might have to change your dates depending on what is available at the resort you want to stay in. Speaking of resorts, we have a connection that not everyone will have access to. My mom is retired military so we always stay on military properties because of the discounted rates. But if you’re planning several years in advance, or waiting for a good Disney deal to pop up, you could score some really great resorts prices and packages. A couple reasons I would like to stay on a Disney resort, over another hotel, is because you get discounted pricing on park tickets and it’s much more convenient to visit the parks if you’re already right there. On the subject of tickets, we got ours, again, heavily discounted because my mom has her military discount. We ended up getting four day park hopper tickets for around $230 each. That’s cheaper than any other price point on tickets I’ve found and for the military deal specifically, that was the best pricing for tickets. So figure out what’s in your budget and how long/many days you’ll want to be at each park. Next I would suggest you make your dinner reservations based on exactly what restaurants you want to visit, characters you want to see or food you want to eat. I didn’t pick exact park locations first because I wanted to make sure we got the character meals we wanted first. Then we would schedule our park visits based on where those restaurants were in which parks. We scheduled a Winnie the Pooh character lunch at the Crystal Palace in the Magic Kingdom so we will be going to Magic Kingdom on Monday because of that. We are going to Tusker’s in Animal Kingdom for their Mickey character breakfast so we will be visiting Animal Kingdom that day. The other two days were just depending on the parks we wanted to see or had good fast passes for. Definitely book your fast passes. I’m surprised that (apparently) a lot of people don’t know about fast passes but having them allows you to skip ahead of the line. If you book them in advance, you'll be guaranteed a good selection of rides and times. This is a completely free service! If you have young children I would highly recommend getting fast passes. You can book up to three for each ticket, each day. This is another time when it would have been nice to book our stay at a Disney resort. They can schedule fast passes 60 days in advance. If you stay off Disney property, you can book 30 days in advance but a lot of the really good rides/time slots may bebooked already. Extra tip: If you don’t have an extra family member to sit out with the younger/shorter kids, you can book the same fast passes but do a rider switch so one of you can stay with the other children while the other person rides the ride and you don’t have to wait in line again. Next I would recommend looking up the weather when it’s about a week out from your trip. It’ll be more accurate to help you decide what kind of clothing/gear you’ll need. Everyone recommends bringing a disposable poncho and/or rain gear because it usually always rains in Florida no matter the season. Just so you don’t have to buy anything on property because it will be really expensive. 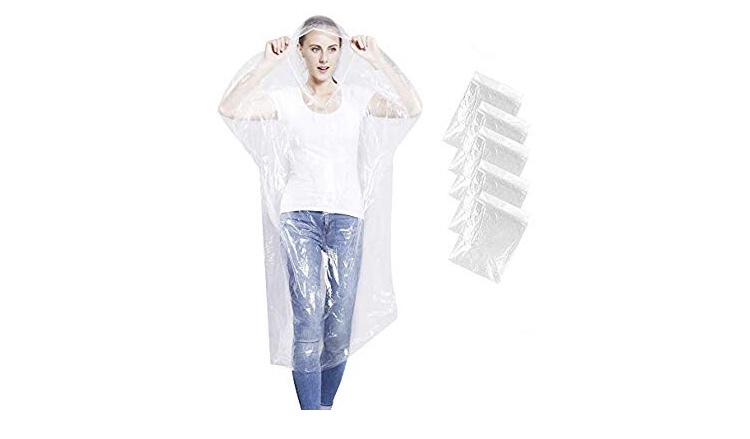 I got my ponchos from Amazon. And we are bringing our own umbrella and rain jackets as well. Another tip I learned recently was to buy Disney souvenirs ahead of time at the Disney outlet or on clearance from Disney’s online store. These are the same exact products that Disney sells in the theme parks but they will be a lot cheaper if you buy them ahead of time (or from a discounted source). I am definitely sticking to this tip and you can see what I’ve been looking for and which stores in my Instagram story, here. My children are very young and will not care or remember anything about this trip, probably. If my son remembers anything all he will remember is “I got this in Disney World”. So I do not feel the need to buy him $30 merchandise at a Disney park. It’s enough for me that the things I’m giving them are Disney trademark. Below are some of the fun souvenirs I picked out for them (not the same as what’s in the parks, just Disney). I shopped at Walmart, Target, Goodwill, Family Dollar and Amazon. It might seem kind of silly to shop ahead of time for Disney souvenirs. I don’t want my kids to feel left out of that experience, but I also don’t want to spend a ton of money on something they’re not even going to remember or care about in six months. Just one mom’s opinion. After it’s about a week (or couple days out) from your trip, I would recommend shopping for snacks for when you are visiting the parks. My children can’t eat everything, so this is especially good for younger children or picky eaters (or children with allergies). I’m also not willing to spend $5 per person for a snack every time someone gets hungry. And you are allowed to bring snacks on property, so no worries there. I stocked up at Walmart for items that were travel friendly, fairly mess free and things I knew my kids loved. This was a tip I didn’t have time to do but if you have a Target red card, you can buy Disney gift cards and get 5% off your purchase. If you buy a Disney gift card, you can set a budget for yourself in the park, plus you’ll be getting 5% off your purchase because of the card. We do not have a target red card and didn’t have the chance to go by target to apply for one. But it’s a great tip if you are already a target card holder or if you wanted to set a budget for yourself ahead of time at the parks and receive a 5% discount. You won’t get one at Disney. They also have baby care centers for those of you going with babies & toddlers. They are located in all of the parks and these baby care centers are where your kids will end up if they get lost, so that’s worth knowing too. They also have everything you would need to purchase if you run out of something like formula, diapers, wipes, food, anything like that. It’s also a good place to go if your kids just need a break from all the excitement and overstimulation of the parks. They have a family waiting room for everyone with you. Look them up and know where they are when you get to the parks. This is probably the coolest perk I’m really excited about. Take advantage of the celebration buttons. We are going our first time as a family. It’s also going to be around my daughter‘s birthday, so they can each get a first time button and she can get a birthday button. I didn’t know anything about these but I’m glad I did! A lot of my helpful info came from the Disney Food Blog videos because I’m so clueless about what’s going on in the parks and I love this tip from AJ! Cast members might give you some special treatment and some extra love if you have these celebration buttons. So make sure if you are celebrating anything at Disney, you head to guest/client services at the park and ask for buttons. A little bit of extra magic on your Disney trip wouldn’t hurt. I would also highly recommend downloading the My Disney Experience app. There is a ton of information there and I would also recommend playing around with it a little before you go, just so you know what’s available and how it works. It has info on discounts, fast passes, dining & noble order, maps and all your plans in one spot. I can see this is already going to be a vital part of our trip, as it has already been a vital part of planning and getting reacquainted with the park. This is my personal tip, as a mother going with two very small children, a three-year-old and a baby. Have absolutely no expectations. I am under no impression that this will be a fun trip for me and my husband. I have been to Disney several times to know that it can be very fun but it can also be very draining, hot and irritating. I do not like crowds but I know that crowds come with Disney. That is something you just have to get over when visiting any kind of amusement or theme park. Adults have trouble dealing with this and you can be sure kids will too. Also, do not over plan. I want to show my kids everything and do everything. But they are also really small and don’t meet most of the height requirements for the really fun rides anyway. So they’re already missing out on a lot of fun things by being short and young. We will definitely have to make another trip to Disney (probably several years down the road before they are able to fully appreciate and enjoy everything that Disney has to offer). So don't over book your trip. There’s no way you can do the whole park in a day, or probably even half of it! Just have fun and have zero expectations about anything. Go with the flow of your trip and how your kids are feeling. Miserable kids will make for a miserable trip for everybody. There you have it! My tips for planning a Disney vacation with preschoolers. I will definitely make a sister post to go along with this one, with what we actually did in the parks and our adventure there. And what our experience ended up being with a toddler and a baby. I know it will be fun but I really don’t have any expectations at this point. I’m just trying to make this trip as seamless and low-key as possible from the start. 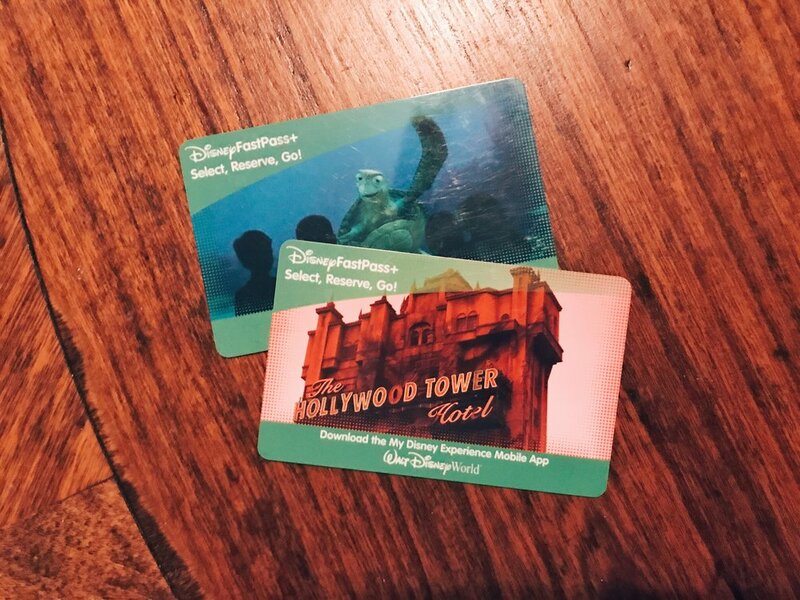 Are you are you planning a trip to Disney? Have you been to Disney recently? Do you wish you did something differently? Would love for you to share your experiences below! !